Emily Kramer Golinkoff is a 33 year old powerhouse with big eyes and a fatal disease. In 2011 Emily’s condition was deteriorating; she was running out of treatment options, and it was terrifying. Instead of giving up, she decided to do something about it. Emily co-founded Emily’s Entourage, a Philadelphia-based nonprofit dedicated to accelerating research and drug development for Cystic Fibrosis. The urgency of Emily’s condition is spurring revolutionary research and drug development that could help the roughly 30 million people worldwide who suffer from a genetic disease caused by a nonsense mutation, including forms of muscular dystrophy and cancer, as well as Emily’s rare form of Cystic Fibrosis. Elizabeth Phillipson-Weiner was diagnosed Crohn’s Disease at age 14. Each day since has been a battle with her body, a constant balance between necessary care and her pursuit for quality of life. It’s a struggle that resonates with anyone who suffers from a chronic disease, which is roughly 117 million people, or half of adults in America. As a musician and composer, Elizabeth channeled her experiences into a song called “Anyway”, an anthem to encourage herself and others, a motivation to rise above illness and fear. 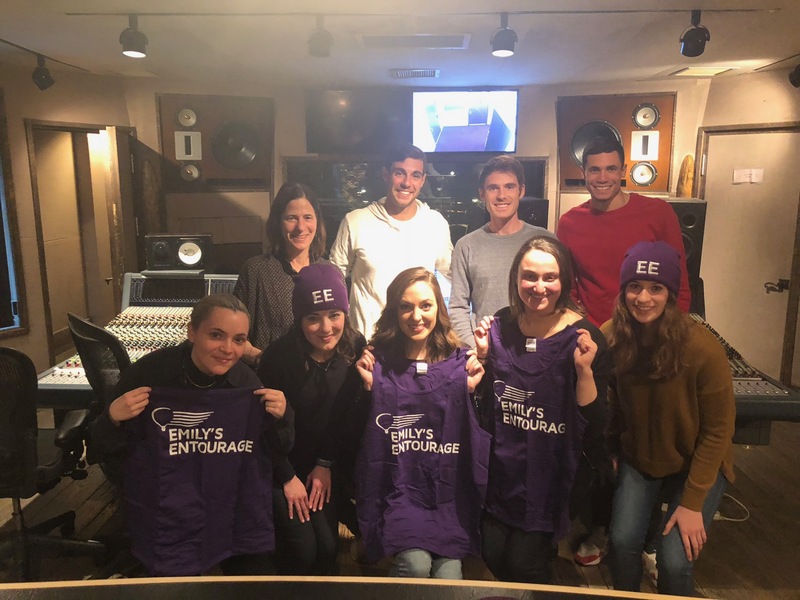 Inspired by Emily’s strength, she reached out to Emily’s Entourage and they have partnered on a music video campaign that will raise critical Cystic Fibrosis awareness and funds. The young women spent months gathering the support of Broadway superstars, including two-time Tony nominee Laura Osnes (Grease, Cinderella, Bandstand), Gideon Glick (Spring Awakening, Significant Other), Christy Altomare (Mamma Mia, Anastasia), Javier Muñoz (In The Heights, Hamilton) as well as Hollywood talent such as Sarah Levy (Netflix’s Schitt’s Creek) , who are lending their voices to the song and video. The stars have generously donated their time, with the shared goal of inspiring hope and celebrating the power of community to make change. The Greater Philadelphia Film Office (GPFO) is a "film commission" representing southeastern Pennsylvania that officially serves the counties of Bucks, Chester, Delaware, Montgomery, and Philadelphia. We are a member of the Association of Film Commissions International (AFCI). GPFO, first established in 1985 as a part of Philadelphia city government, continues to reside within city offices. In 1992, we became a regional economic development agency, incorporating in 2000 as the Greater Philadelphia Film Office, a Pennsylvania nonprofit corporation.